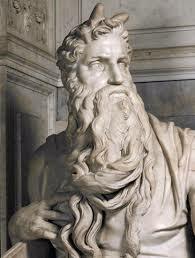 We continue with our normal Torah Tuesday series, presenting Lessons in Living from Moses our Mentor. This post roams throughout Torah and touches on the prophets as well, even quoting from Leviticus 19, from this week’s Torah reading. In this lesson Moses our Mentor challenges a sin that Jews commit toward each other, offering a prescription to remedy the situation. Sometimes I run across Jewish believers in Yeshua who have a hard edge of disdain and impatience toward other Jews who either “Won’t repent and accept what the Bible says about Yeshua,” or whom they otherwise perceive as being obdurate, “unsaved,” or in some other “un-category.” Whatever the case, a distance between “us” and “them” looms before us. And there are also some religious Jews who look at Jews like me in the same way—as an un-category, as outsiders in some way, as rejectable. Happily, this is not always the case, but sadly, too often it is. Let me say too that I am not seeking here to distance myself from Yeshua believers from among the nations with whom I also share a familial relationship. However, I look upon the Jews as my family or origin, and gentile Yeshua believers as spiritual “in-laws,” who are by no means strangers. But this is not my concern today. My concern today is with other Jews, our unity together, and its implications. The foundation of this reality is the teaching of Achdut Yisrael (the unity of the Jewish people) which must always result in Ahavat Yisrael (love toward all Jews). The term “am echad” (one people) which is of course related to achdut appears four times in the Tanach, providing a basic outline of this foundational teaching. The first time, am echad refers to the generation of the Tower of Babel. Here Hashem indicates the power of achdut: “ADONAI said, “Look, the people are united, they all have a single language (hen am echad vesafaakhat lekhulam), and see what they’re starting to do! At this rate, nothing they set out to accomplish will be impossible for them (lo-yibatser mehem kol asher yazmu laasot” (Gn 11:6). With achdut, all things are possible; without achdut, nothing worthwhile will be accomplished. The other reference to am echad comes from the lips of that wicked Haman, who reminds us that even in diaspora, the Jewish people remain one people, am echad: “Then Haman said to Achashverosh, “There is a particular people scattered and dispersed among the peoples (mefuzar umeforad bein haamim) in all the provinces of your kingdom. Their laws are different from those of every other people (vedateihem shonot mikol-am); moreover, they don’t observe the king’s laws. It doesn’t befit the king to tolerate them” (Esther 3:8). Of course the concept of Achdut Yisrael is founded on a much wider base than these four verses. Still, they establish a preliminary framework for our thinking, reminding us that even in dispersion, and kal v’chomer, surely in the Land, the Jewish people are a family bound together to Hashem and all Israel in a covenantal relationship embodied in laws which distinguish us from all other peoples. As B’reishit/Genesis reminds us, when this people lives as one people with a common language, communicating with deep mutual understanding, there is nothing that will be impossible for us. And the fact that the Esther passage speaks of the Jewish people dispersed indicates that there is a Land from which we have been scattered—therefore, return to the Land and life together in the Land is also part of Hashem’s will for this people. Sharing a homeland where they either live, or from which they are dispersed. This is no mere sentiment, but an aspect both of Israel’s founding and of her destiny. In her founding, Hashem promised Abram that he would make of him a great nation (singular)—v’es’cha l’goy gadol. And even though Hashem will later say “I have made you the father of a multitude of nations” (Gen 17:5-6), this does not in any matter compromise the unique covenant status of the nation of Israel, for immediately after stating “ I will make nations of you,” Hashem goes on to state “I am establishing my covenant between me and you, along with your descendants after you, generation after generation, as an everlasting covenant, to be God for you and for your descendants after you. I will give you and your descendants after you the land in which you are now foreigners, all the land of Kena’an, as a permanent possession; and I will be their God” (Gn 17:6-8). It is with this nation alone that the covenant is made, and to this nation alone that the Land is given. Again, in Gn 18:18, even at this founding stage, Torah contrasts this unique nation and all other nations, “ADONAI said, ‘Should I hide from Avraham what I am about to do, inasmuch as Avraham is sure to become a great and strong nation, and all the nations of the earth will be blessed by him? For I have made myself known to him, so that he will give orders to his children and to his household after him to keep the way of ADONAI and to do what is right and just, so that ADONAI may bring about for Avraham what he has promised him’” (Gn 18:17-19). And yet again, in this founding stage, Hashem highlights the specificity of the nation of Israel, even as contrasted with other nations which shall trace their spiritual lineage to Abram as well: “God further said to him, ‘I am El Shaddai. Be fruitful and multiply. A nation, indeed a group of nations, will come from you; kings will be descended from you’” (Gn 35:11). This unity of Israel in her founding rituals is also evident at Sinai. In Parshat Nitzavim, Hashem confirms the covenant at Sinai, stating “But I am not making this covenant and this oath only with you. Rather, I am making it both with him who is standing here with us today before ADONAI our God and also with him who is not here with us today (et-asher yeshno po imanu omed hayom lifnei Adonai Eloheinu v’et asher einenu po imanu hayom)” (Dt 29:14-15). All of the commentators agree that the ones with whom the covenant was made, yet who were not there at Sinai, are all the future generations of Israel. We are all involved in this covenant made between our ancestors and Hashem, in which we are all and each implicated. I stress that achdut Yisrael is not simply a nice idea to talk about from time to time: rather, it is a matter of communal life and death. Jews behave as a family; and in a family siblings always fight with and beat each other, often until they actually bleed. . . Such fights are part and parcel of the family entity. . . . Thus, differences of opinion do not remain a distant, theoretical matter, but rather lead to discord and even violence. We can agree with the Rabbi, that family relationships can get very loud and messy, but that underlying such battle zones lies the often unspoken recognition that this is a family matter. However, the problem of familial fighting escalates to communal crisis whenever we forget or deny that we are family: that the Jewish people remain “us.” Again, Rabbi Steinsaltz reveals this to be a reality in the Israeli context, one that threatens to destroy Israel itself. And it is not hard at all to apply what he says to the internal strife among Messianic factions both in the Land and in the Diaspora. Quite often . . . our internal fighting slides toward a point which I find both dangerous and frightening. I am not making this up. I have seen such statements in newspapers, and even heard them from individuals – some of them people who are not considered extremists – from all walks of Jewish society. Everyone – those with the earlocks and those who go bare-headed, women with kerchiefs and women whose garments reveal more than they hide – speak in exactly the same manner about the “others.” They say, “What have I got to do with them? We have nothing in common.” I have heard people make statements such as, “Nothing in the world ties me to those religious people; I feel much closer to the Arabs” – along with parallel statements from the other side: “Those secularists, they are just like the gentiles.” Similarly, “settlers” and “left-wingers” may consider each other total strangers. Such statements are already beyond fighting. They express some kind of acceptance, but a very threatening one: it is acceptance of the same kind that comes after death. I cease to fight because there is no one to fight with anymore. The other party has changed, has become a stranger. Seeing the other not as an enemy, an opponent to be fought against, but rather as a stranger, seems to me the greatest, most terrible threat to our existence. So long as I assume that I am right and the other party is wrong, we are still in one group, we still belong to the same body. I can say that so-and-so is a wicked person and an unbeliever, and should be put to death in all the four forms of capital punishment – and still feel that a non-believer is closer to me than a righteous gentile. Losing the feeling that we are one, that we are one body, is graver than any controversy, even more than a civil war. As Rabbi Steinsaltz warns and our Hashivenu experience confirms, many of us have been conditioned to think of our fellow Jews as strangers, as “them,” as no longer our covenantal brothers and sisters. Messianic Jews are conditioned to think of other Jews as simply “unsaved Jews,” who, although still technically family, remain strangers to us unless and until they accept Christ. Indeed, we have been taught to think of the church as our new family replacing the Jewish people. Recently I had a correspondence with a Jewish believer in Yeshua who is peeved and judgmental about other Jews who do not believe, and unsympathetic that there are any historical circumstances that contribute to Jewish disinterest in the gospel. He is a hard-liner, and believes me to be a compromiser because I am not. So be it. I can live with that, but do not choose to live with being hostile to my own people. Whenever we see other Jews as “strangers,” we destroy the fabric of Jewish life. This is the worst kind of assimilation: an assimilated heart. When Jewish unity is abandoned, we unravel as a people, and we cannot stand against our enemies, whether they be military, cultural, or theological. Whenever unity is abandoned, eventually all will be lost. May it be so again, and in our time. How Then Do We Live Out the Meaning of Achdut Yisrael? Achdut Yisrael is lived out as Ahavat Yisrael. It is both sad and convicting that we have been evangelically conditioned to distance ourselves from “unbelieving, unsaved Jews” resulting in our becoming habituated to disobeying God in this area. But if we do return to obeying Hashem, we will avoid spreading slander about other Jews, thus requiring of us shmir’at lashon—watchfulness in speech, we will be engaged enough with other Jews to rebuke them when they wander from the paths of covenantal obedience, we will avoid hating, grudge-bearing, or taking vengeance against other Jews, but rather will love other Jews as we love ourselves—treating them as we would want to be treated. This is the foundation of Ahavat Israel, and a necessary extension of Achdut Yisrael. I know this kind of obedience is sometimes missing in the American Messianic Jewish context. There are many who report that lashon hora and factionalism is too common among Messianic Jews in the Land. But that is not for me to say. The following statement helps make explicit some of the implications of Ahavat Yisrael. It challenges all of us, and helps further correct how we have learned to neglect this responsibility for so long. The statement is from the Union of Traditional Judaism, an Orthodox group which opposes the kinds of sectarianism and strife too often found in Orthodox circles. Because we Messianic Jews are sectarian as well, we would all do well to consider this expansion of the mitzvah of Ahavat Yisrael. The mitzvah of ahavat yisrael directs us to relate lovingly and respectfully to all Jews regardless of their level of commitment to traditional Jewish beliefs and observance of Halakhah. We must cooperate, to the fullest extent possible within the parameters of Halakhah, with other Jewish groups and their leaders, without regard to the political boundaries of denominational affiliation. Shared history and common destiny are sufficient reason for making far-reaching efforts to preserve the unity of kelal yisrael (the entire Jewish people). In addition to demanding mutual respect, ahavat yisrael requires that we champion adherence to halakhic norms (Lev. 19:17-18). Bringing Jews closer to Torah is one of the most important challenges we face today, and we believe that this goal can most readily be achieved through an approach which encourages, educates and persuades. In taking such an approach, we are emulating God’s display of love and concern for the Jewish people even when they were not fulfilling their religious commitments (Neh 9). God expects us to continually strive to reach our collective potential as a community. We must therefore create synagogue and communal settings where all Jews are made to feel at home, yet are constantly stimulated to bring Jewish observance and study into their homes and their daily lives by rabbis and laymen whose own shared striving and commitment are evident. Have we been taught to display love and concern for other Jews “even when they are not fulfilling their religious commitments?” Or do we regard such Jews as more “them” than “us,” especially when they oppose our Yeshua faith? Do we “encourage, educate, and persuade” other Jews concerning our Yeshua faith, or do we not rather them over the head with it, writing them off as hard-hearted when they fail to welcome our message and approach. If we would be Torah honoring, obedient Messianic Jews, who love, honor and obey Hashem, then we must learn what it means to follow Yeshua within the context of ahavat Yisrael. This can be supported trough a kal v’chomerargument, from the lesser to the greater. We read in I John 4:20, “If anyone says, ‘I love God,’ and hates his brother, he is a liar. For if a person does not love his brother, whom he has seen, then he cannot love God, whom he has not seen.” I would say, similarly, none of us can say that we love all people if we do not practice ahavat Yisrael. If we do not love our own people with whom Hashem has placed us in covenant relationship, how can we love others with whom we are not in covenant relationship? To be a Jew is to be joined to other Jews by brith milah (the covenant of circumcsion) and mattan Torah (the gift of Torah). Ahavat Yisrael is the necessary outcome of such achdut. The Jewish people are “us” not “them,” and we owe our people so much! Let’s not leave God alone in his commitment to Jewish unity.